States continue to run low on a key lethal injection drug used in executions, as South Carolina is now out of the anesthetic pentobarbital and Texas only has enough for its next two procedures. The Texas Department of Criminal Justice is scheduled to execute two death row inmates in March – Manuel Vasquez on the 11th and Randall Mays on the 18th – but if those procedures go according to plan, the state will then be completely out of pentobarbital, making the fate of other inmates scheduled to die unclear, the Associated Press reported. Four inmates are scheduled to be executed in April and another is set to be killed in May. The department won’t say why it cannot buy more pentobarbital from its current source – an unnamed compounding pharmacy which has supplied Texas with the drug for its last nine executions, after a previous facility stopped selling pentobarbital when its business was revealed to the public. A state judge has ordered officials to disclose the name of its current supplier, though that ruling has been appealed. It’s unknown if the pending disclosure plays any role in Texas’ inability to purchase more pentobarbital from the supplier. While other states use pentobarbital as part of a three-drug lethal injection combination, Texas has been using it as the sole execution drug since 2012. It is normally used as a sedative in medical situations, and also has applications in the veterinary field. However, it is lethal when administered in high doses, forcing respiratory failure. Use of the drug by multiple states has come under fire from civil rights activists and lawyers, who argue that inmates are not spared excruciating pain when given a lethal injection and are subjected to cruel and unusual punishment – something that violates the Eight Amendment of the Constitution. Texas criminal justice officials have declined to say much on the matter, according to AP, though the agency’s executive director, Brad Livingston, said in February that the state is working to address the matter. In a separate report, AP stated that South Carolina Department of Corrections director Bryan Stirling recently confirmed that the state’s supply of pentobarbital has been exhausted since 2013, when whatever remained of the drug expired. Since then, the agency has found no partner willing to sell the drug. "We have been looking for a while for a solution to this issue," Stirling said. "I don't know what the answer is." Despite having 44 inmates on death row, the state has not conducted an execution since 2011. Without pentobarbital, the only option left for South Carolina is death by electrocution – but that procedure can only go forward if the inmate chooses it weeks in advance. Stirling told AP that it is possible that legislation granting pharmacies more privacy may make them amenable to selling lethal drugs, but there has been no progress on that front. Other states that have granted anonymity to pharmacies have also faced legal battles. 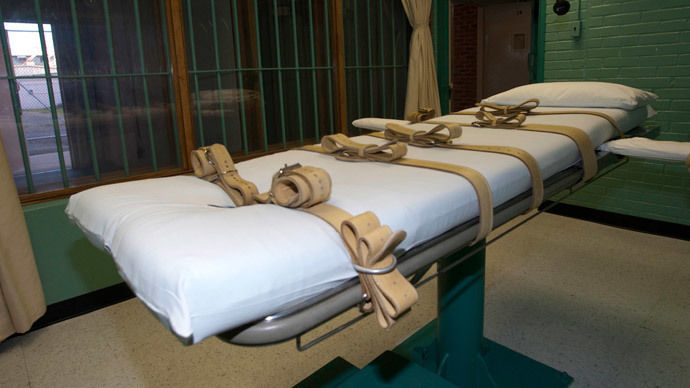 In response, some states are looking beyond lethal injections, with Oklahoma lawmakers recently suggesting the state use nitrogen gas to kill prisoners. Meanwhile, even states who still have their deadly drug cocktails are grappling with complicated issues. Last week, Georgia stayed the execution of Kelly Renee Gissendaner over a test of its compounded pentobarbital, which turned up a “cloudy” drug rather than clear one.